My husband says I have an unhealthy addiction to my phone, but I say it’s just plain practical. It’s my camera - capturing those unplanned “Kodak moments” with my boys, my journal - storing ideas for home school projects and blog posts no matter where they strike, my window to the outside world when I’m stuck at home with sick kiddos, and my one stop resource for planning and managing the health of our family. I had some handy apps on my phone to help with all of these things, but I had a feeling there was more out there. So I surveyed my friends and online community to find out which apps they couldn’t live without when it came to managing their health and the health of their families. Then I tried them. Below are the top health and fitness apps according to the moms I know. When it comes to eating healthy most moms agree that cost and family friendly recipes are two of the main challenges. This app solves both of those problems with one easy to use tool. Choose your favorite grocery stores; tell them a little bit about what you like to eat and any diet restrictions and you’re ready to go! The app guides you through the selection of recipes to fill out your weekly meal plan and matches them against sales at your local grocery store. In just a few minutes you have a full week’s meal plan complete with recipes and a money saving shopping list to take to the store. I have to admit that I try not to research every little symptom on WebMD because it gives me anxiety, but this app is more than a symptom tracker. It allows you to store information related to any chronic conditions or necessary medications. You can check symptoms and find articles on natural treatments. You can also research just about any drug before purchasing it from a pharmacy or filling a prescription. Some practical day-to-day uses include searching for first aid information like treating bee stings and burns or looking up physicians, pharmacies and hospitals using the GPS-referral system. When you find what you need, share it or save it by sending an email directly from the app. I have to admit, it’s pretty comprehensive and nice to have on hand. 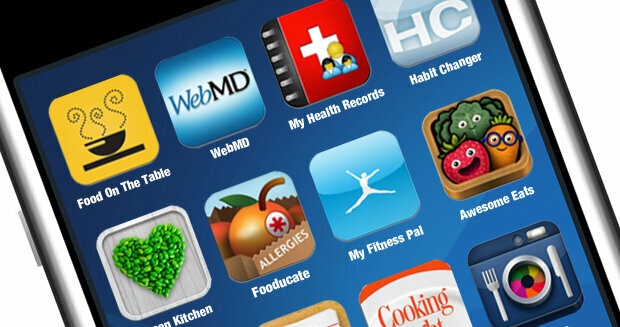 This app does it all when it comes to managing health records. You can store insurance information, emergency contacts, allergies, prescriptions, medical history, lab reports, doctors appointments and more all in one password protected place that you always have with you. The wide-array of features make it incredibly useful to families, especially when traveling. The only negatives, it’s the most expensive app of the group and it’s currently only available for the iPhone. How can I get my kids to eat healthier? This is probably one of the most common questions I hear and there really isn’t one answer that suits every family or every kid. Habit Changer walks you through small daily changes that help your children slowly learn to make healthier choices on their own. Instilling healthy eating habits in my children is a top priority and this app combines all of the best advice from families who have walked that journey. Results will vary, but your family will definitely learn and change together. A lesson in nutrition disguised in a fun and challenging game. My kids were entertained, but I enjoyed it just as much! Each level challenges players to sort, stack, pack and plate a variety of colorful, garden-fresh foods in progressively challenging ways to earn stars and score points. Awesome Eats is a fun, family friendly game that offers tons of healthy eating tips and introduces kids to a wide variety of fruits, vegetables and whole grains – a winner in my book! It’s a report card for food. With this app you can scan a product’s bar code or search by category. Once you find your food, Fooducate will give you a quick and detailed report card that includes the good, the bad and any hidden red flags like excessive sugar or controversial food colorings. To help you digest the information they also offer a letter grade, and if necessary, a healthier alternative. This app is incredibly handy for anyone navigating the aisles of the grocery store or learning to make healthier food choices. One mom said, “This is the app I live by! Huge food and exercise database and super easy interface.” That’s a pretty glowing recommendation! MyFitnessPal makes it easy to log your food and exercise from your phone or computer so you can track your calorie intake and set daily activity goals. If you use a FitBit Ultra Tracker you can sync it with MyFitnessPal to easily upload your daily activity and calories burned. Calie Shackleford is the author of Broccoli Cupcake; a blog dedicated to inspiring healthy, green lifestyles. Blogging about her personal wellness journey since 2009, she has worked with leading brands such as Nintendo and GE Appliances to introduce healthy new products to readers. 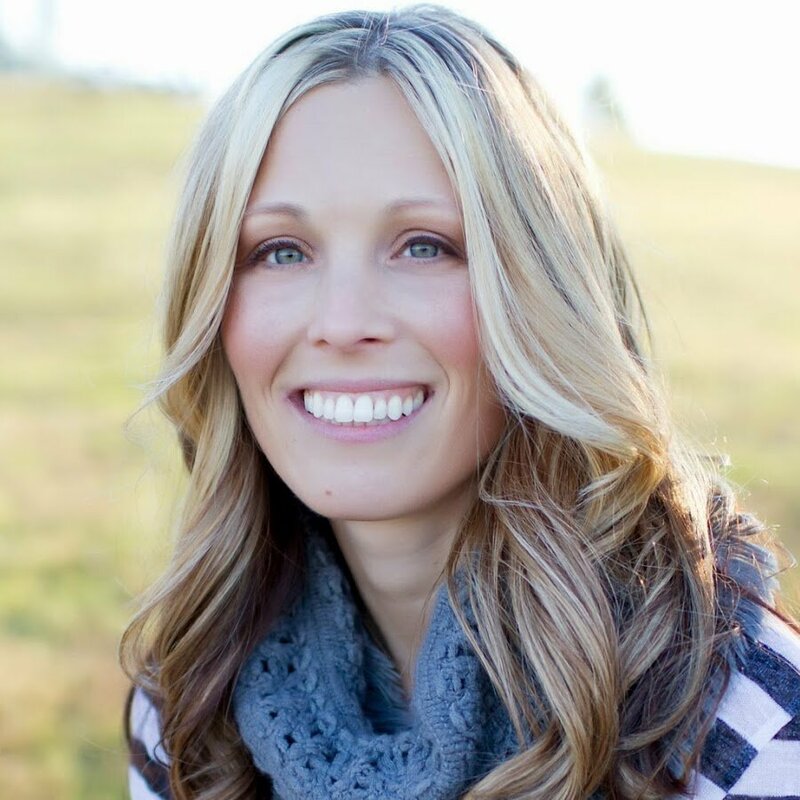 She has served as a health and wellness resource and freelance writer for various media outlets including Fox 17 Tennessee Mornings, Yoga Journal, and SavvySource.com. Drop her a note via Twitter or Facebook. She’d love to connect with you!